The 2018 Pennsylvania Lions State Convention will be held at The Penn Stater Hotel and Conference Center on May 18-19, 2018. ​Blue Band Building on the campus of Penn State University! 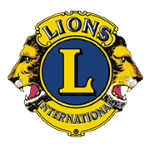 For 35 years, the Pennsylvania Lions have organized an All-State Band to accompany the PA Lions to the annual State and International conventions. All lodging and meal expenses are covered by the PA Lions while at the convention. If you were a member in the past, you will recall the fun times you enjoyed and the great musical experiences you had. If this will be your first involvement with the Lions Band, you can look forward to an exciting musical experience. We encourage you to apply and to invite other musicians to join us. Selection is based on past participation in the Lions All-State Band, instrumentation needs, experience on your instrument (9th grade and up with older students usually selected first), and participation in other musical events including County, District, Region and All-State Honor Bands. Students whose parents are Lions or recommendation by Lions Clubs will also garner consideration. 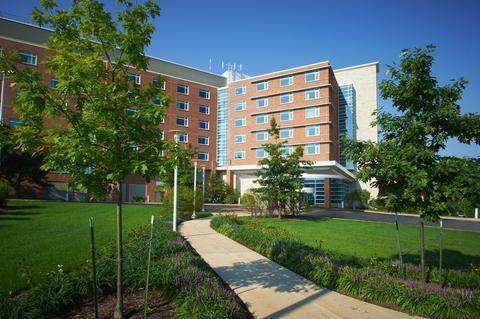 The Penn Stater Hotel and Conference Center, our Performance site. A letter of acceptance will be sent on or around March 1st. Remember, participation in the state band costs you nothing. Therefore, please double-check to be sure that if you are accepted you will attend. Check your school and personal calendars for possible conflicts, including concerts and trips with your school band, prom, family events, etc. Once you are accepted, we plan for you to be in the band, as well as prepare food and rooming needs. If you apply and are accepted, then drop out, you will have taken a slot that could have gone to someone else. Students need only to provide transportation to and from the convention site. If enough students from specific areas of Pennsylvania need transportation, the Lions will charter a bus to have several stops and bring students to and from the convention. This schedule is tentative and provided for example purposes only. A final schedule and itinerary will be sent to all accepted members in the coming weeks. 6:00 AM – Wake up!